The Last Pit Bull Decision for the Current City Council! Tonight Burlison and Ruschefsky voted "yes" to repeal the Breed Specific wording in our Dangerous/ Vicious dog legislation the City of Springfield currently has. However, the rest of the council voted "no". Mayor Stephens stated that he would vote against it because the new legislative pieces are not currently in place. Doug tried to explain that there would be plenty of time for the BSL language to be replaced with the proposal from the Health Department (and the Animal Issues Task Force...) for the new Dangerous/Vicious, Reckless Owner, and Nuisance Dog Legislation pieces, and that it would work with no lag time. Unfortunately, that wasn't good enough. The second Pit Bull item the City Council passed. This saved at least 6 of the 8 Pit Bull type dogs currently residing in the City Pound. It says that the city and the rescues came to an agreement on a contract in which the rescue will hold a ridiculous 1 million dollar liability policy for the Pit Bulls they pull. I am glad there was at least one rescue that could afford to deal with the Health Department that will never admit they were wrong. 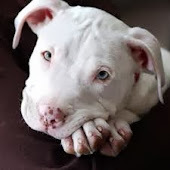 ***2,000 plus Pit Bulls dead and only 32 bites less in 6 years? That doesn't sound like progress to me. It sounds like our city killed a horribly large number of dogs, and caused an even greater amount to get dumped and shipped out of the city, and only reduced the number of bites by 32. I do want to note that Mayor Stephens said that he would vote for this... dun dun dun... because he voted against us having chickens in Springfield city limits and has seen none of the predicted fallout. LOL Did our mayor just compare Pit Bulls to chickens? I would love to hear what he would compare cats to! Center For Disease Control- Apparently their stance hasn't changed since 1998? Let me know if I'm wrong. At this point, I'm just waiting to see if any of these "citizens" speaking out are going to help with the fostering of any of these dogs...or if they're just here for their own "oh so sweet Pit Bull". That may have offended some people, but I certainly hope it lights a fire under them, we need all the help we can get fostering dogs. Oh! and by the way! I haven't ever heard of a BSL being repealed... and then being put back into effect...prove me wrong? Check out this video of a 14 year old Pit Bull, originally bred for fighting by an irresponsible owner, and now living with a responsible owner!